"A deeper dive into President Trump’s proposed budget for the U.S. Environmental Protection Agency reveals that the environmental justice program won’t make the cut. The Office of Environmental Justice addresses the disproportionate environmental burdens borne by low-income, minority, and indigenous communities. If axed by Trump, the EPA would no longer provide funding and technical help to some of America’s most vulnerable populations, communities confronted with hazards such as leaking oil tanks or pollution from chemical plants." The Trump budget would shift funding away from these disadvantaged communities across the board. This appears to be part of a larger agenda to minimize federal agency involvement in civil rights across the government. 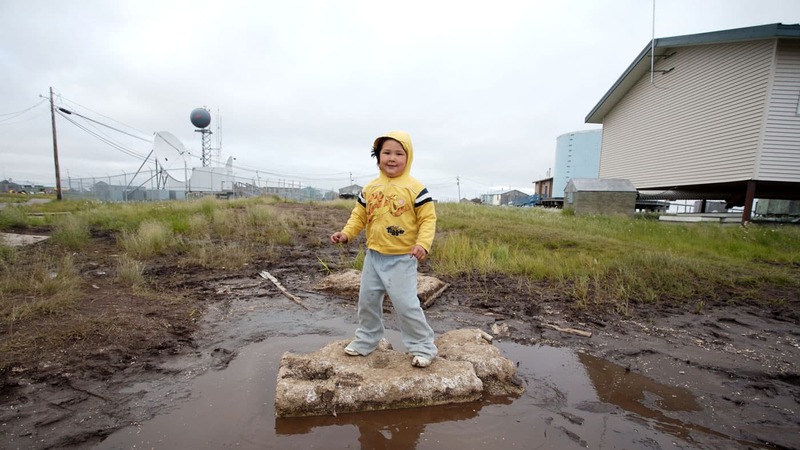 Climate change disproportionately affects low-income communities and communities of color. Back in the 1920s, when the country was rapidly industrializing and eugenics was a "thing," the U.S. came up with a land use scheme called “pyramid zoning.” Most cities and towns quickly adopted these rules, which segregate land into different zones based on allowable uses. Residential zones are at the top of the pyramid: only housing and uses compatible with quiet residential living are allowed. The zoning pyramidʼs base is anchored by industrial zones, which typically allow things like heavy manufacturing, power plants, landfills and highways - all the things that society needs but no one wants to live near. 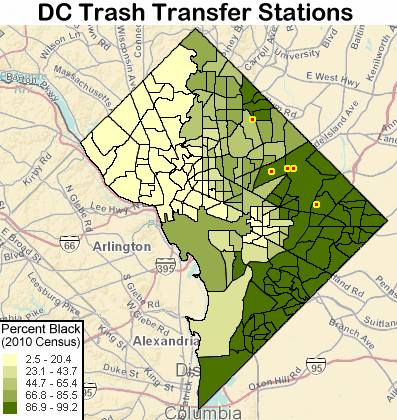 Waste hauling transfer stations are located near African-American neighborhoods in Washington DC - a typical pattern for U.S. cities. Poor people are almost always priced out of desirable residential zones. Until desegregation in the 1960s, minority populations in many cities - regardless of economic means - were also kept out of desirable residential areas through a variety of federal lending and state/local zoning practices. Industrial zones allowed (and, in many cities, still allow) “any use,” including housing. Because living in an industrial zone isnʼt attractive to people with means, industrial zone housing is cheap, and occupied by people who canʼt afford to live anywhere else. The result? 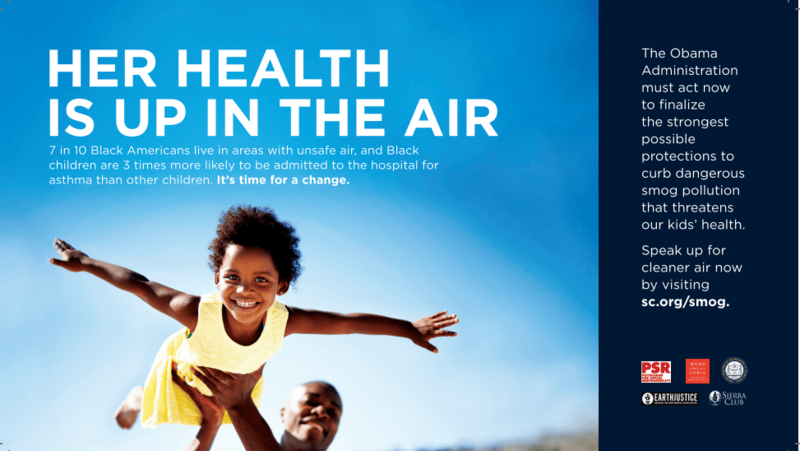 People of color and poor people end up living in the most polluted areas. These communities typically also have the least economic and political power in American democracy. "In Congress, I represent Newark, New Jersey, home to a dense transit network, waste and sewer treatment facilities, industrial plants, the third largest port in the nation, and the largest trash incinerator in the Northeast. In other words, the city and its residents are overburdened with concentrated environmental pollution, the cumulative impacts of which are making people, especially children, sick. The heart of the Globeville neighborhood: interstate 70 built atop homes and schools. In metro Denver, the Globeville neighborhood (which you drive across when traveling on I-70) is a classic example. Itʼs the most polluted zip code in the state, home to 2 Superfund sites, 6 large Brownfield sites, lead-contaminated soils, polluted groundwater and chronic air pollution. In my teaching days, I used to take students to Globeville on "Toxic Tour" field trips, led by neighborhood organizers. This report and photo essay from the Denverite news blog offers a profile of Globeville - a profile shared by many EJ communities. Environmental justice is the fair treatment and meaningful involvement of all people regardless of race, color, national origin, or income, with respect to the development, implementation, and enforcement of environmental laws, regulations, and policies. "The EPA’s environmental justice program, which was originally called the environmental equity office, was established in 1992 following the release of a series of damning reports that found industry polluters like toxic waste sites were disproportionately located in low-income communities of color when compared to wealthier, whiter neighborhoods. It’s had many achievements. 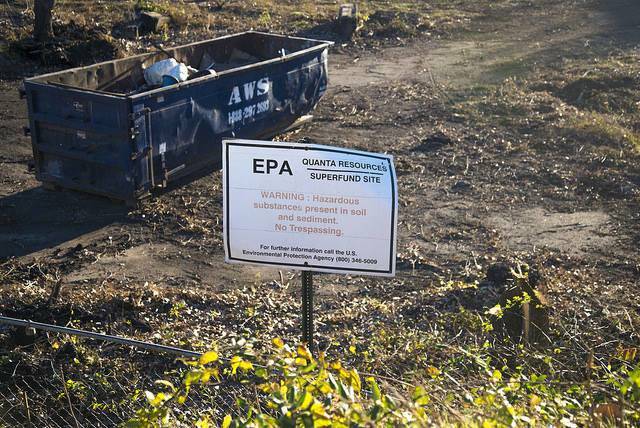 In just one example, a community organization in Spartanburg, South Carolina, helped a neighborhood surrounded by Superfund sites and Brownfields leverage a $20,000 EPA grant into cleanup efforts that led to more than $270 million in investments like community health centers, affordable housing, a recreation center, gardens and green space." In addition to providing grant funding, EPA's Environmental Justice program helps communities find their voice in environmental decision-making processes. EJ staff work with counterparts within EPA and in state public health agencies to address community concerns through ongoing activities like environmental impact reviews, Superfund and Brownfield cleanups, permits and enforcement actions. EJ communities are among the U.S. groups most likely to be negatively impacted by climate change, These demographic groups closely trace racial and ethnic lines. The urban poverty rates for African-Americans, indigenous peoples, and Latinos are between 24 percent and 27 percent, while the poverty rate for white urbanites is just 13 percent. When extreme weather and rising sea levels disproportionately afflict and displace communities of color in American cities, EJ funding is intended to mitigate that imbalance.